Ongoing art project that emerged out of student research gets to the heart of Koganei through a series of talks. The “Stories from 110 People in Koganei” project is based out of Chateau Koganei, an intriguing multi-purpose facility located a short distance from Musashi Koganei Station that contains an izakaya, daycare center and swimming pool. As the title of the project literally suggests, this event centers on an ongoing series of talks featuring 110 speakers who have a connection with the Koganei area. Guest speakers for this series of talks are not necessarily limited to artists or art professionals. Previous editions have featured a wide range of people, including Masae Takahashi, president of Child Rearing Salon@Sachi, which offers parents support and assistance with child-raising tasks, and Plusgumma, a three-man group of performers. The talk I attended featured a khoomei (traditional Tuvan throat singing) performance along with musician Hiroshi Obiki. Born and raised in Koganei, Obiki gave a talk that touched on his childhood memories of growing up in the area, his work, as well as his reasons for becoming a musician. Obiki’s musical career was utterly fascinating: it consisted of a string of impulsive decisions based on whatever he thought would be a good idea at the time. 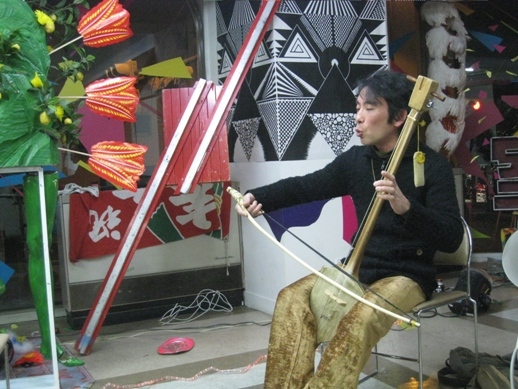 Led by Obiki, “Ainote-san” is a musical unit whose activities come about spontaneously by building close relationships with the local community. Although Koganei Artfull Action! 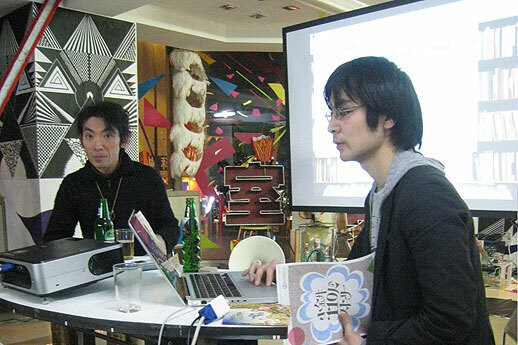 currently has no plans to involve Ainote-san on a long-term basis, this series of talks will hopefully strengthen their relationship to the guests and hone their instinct for finding out what kinds of projects have emerged out of the local context, helping them to expand their scope and reach. Concurrently held at the venue for the talk series was an exhibition with the theme “Ladies and Gentlemen”. There was also a festival called “Koganei Artfull Jack!” for one week during the exhibition period, showcasing works and performances by young artists. One of the highlights from the exhibition was an installation by Shiho Kagabu that combined waste materials and familiar everyday objects with video footage of animals and the artist’s own performances. By reconfiguring the gallery as her own private world, Kagabu transformed it into an expansive space caught in an infinite loop. 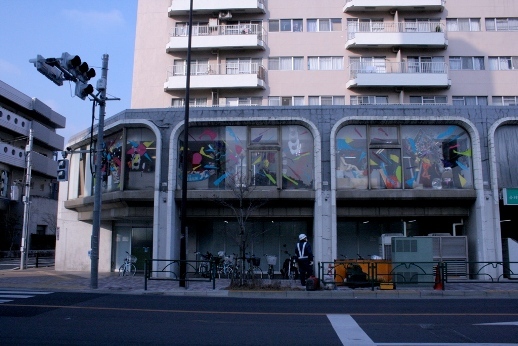 The work complemented the overall look and atmosphere that seems to be distinctive of Koganei: the thick ceiling and walls were reminiscent of midcentury Showa-era architecture, evoking the lobby of an old hotel and making viewers feel as though they had strayed into some other absurd realm of existence. Sonton’s work, a series of fragmentary objects, lights and sounds that was visible through the translucent exterior of the building, seemed to all be part of a single, organic mass. 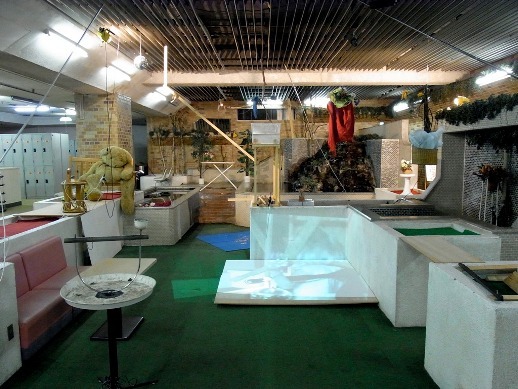 In addition to the talk series and exhibition, there was also a project by Yoshiko Nagumo called “Mama Drama Waterway”. Taking a cue from words that define Koganei, like “child raising” and “groundwater”, Nagumo took the keys to an exchange diary that had been placed at Chateau Koganei and handed them to child rearing housewives living in Koganei, who then took turns writing their own entries in it. Unlike the lecture series, where the originator and receiver are clearly defined and separated from each other, “Mama Drama Waterway” was a program with a different format and orientation. It was also an interactive piece that invited participation from local residents, concealing within it the possibility of bringing people together. Ultimately, the “work” ends up consisting of the diary itself and the question of how to exhibit it, thus presenting countless possibilities and variations. As an experimental endeavor, however, “Mama Drama Waterway” also raised a number of useful questions. 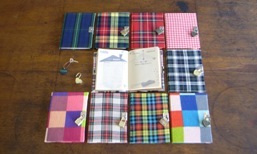 What sort of “diary” will emerge from the project? “Stories from 110 People in Koganei” is a collaborative initiative of Koganei Artfull Action!, a project that seeks to promote the development of art and culture in Koganei City. 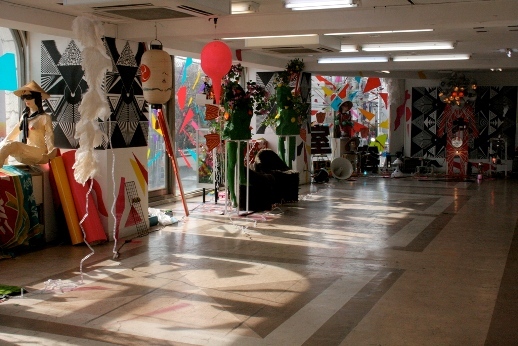 It is also being held as part of the “Student and Artist Partnerships”* organized by the Tokyo Culture Creation Project. I asked Risei Sato, a PhD student of Cultural Resources Studies at Tokyo University who is also president of the organizing committee for Koganei Artfull Action!, how the project first came about. Although Sato performed this sort of research as a student at Tokyo University, he also oversees the activities of the organizing committee, which is composed of staff members from local non-profit organizations and students from other universities. Koganei is home to several cultural facilities such as the Edo-Tokyo Open Air Architectural Museum, run by the Tokyo Metropolitan Museum for History and Culture (which the Tokyo Culture Creation Project is also affiliated with), as well as the municipally-run Hakenomori Art Museum, which was built in memory of Japanese painter Kenichi Nakamura. The connections to the local community that have been cultivated thus far may even be of use to these museums. In this sense, “Stories from 110 People in Koganei” might be said to be a work-in-progress that explores ways of creating a sense of continuity and local involvement, inclusive of collaboration in all its possible forms, at a deeper level. Their future plans, based on the research conducted for this phase of the project, will no doubt be something to take note of. *Part of the Tokyo Culture Creation Project’s “Tokyo Art Research Lab”, a research project that seeks to nurture talent for art-related professions through its activities. Its objective is to provide students with opportunities to carry out experimental and innovative art projects while interacting and working in tandem with artists from local areas and communities. Born 1981 in Tokyo and currently lives and works in the same city. She graduated from Musashino Art University, doing research for a thesis on the drawings of Fumio Nanbata. After working in a job that supported the careers of young artists, she now writes art reviews and coordinates exhibitions. In addition to a keen interest in the works of artists of her generation born around 1980, Mizuta is also a fan of outsider art and modern poetry.